This one is very near and dear to our hearts. You may or may not be aware of this, but Steve is an avid collector and fan of LEGO® products. He also kind of likes Munchkin, or so I've been told. So when Crazy Bricks approached us about doing a Munchkin-themed set of toys compatible with LEGO®, Kre-O®, Kubrick®, Character Building®, Si-Dan® and Friends® bricks, we jumped at the chance! 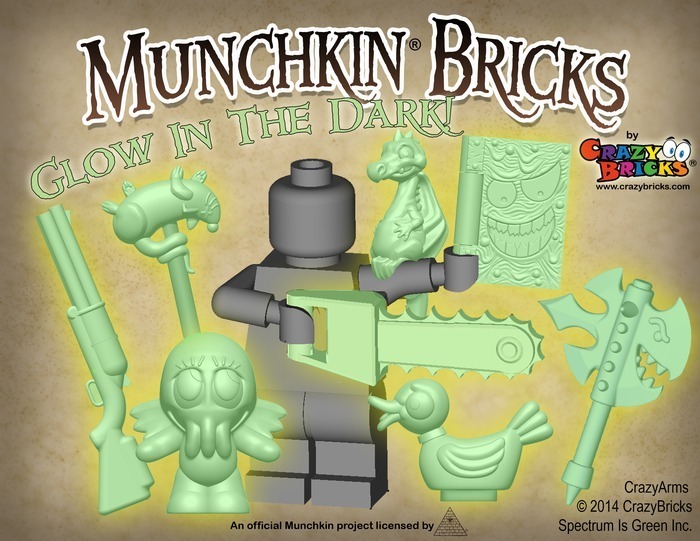 Enter Munchkin Bricks, a brand new Kickstarter project to make this crazy dream come true! Oh, and when you back the project you can even get an exclusive Munchkin card!